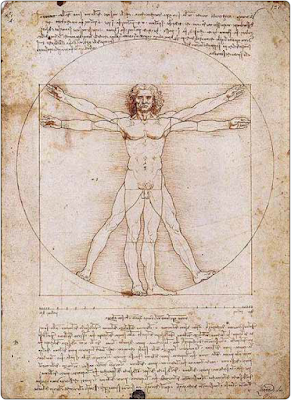 Around 1487, Leonardo DiVinci began research in the area of anthropometrics. 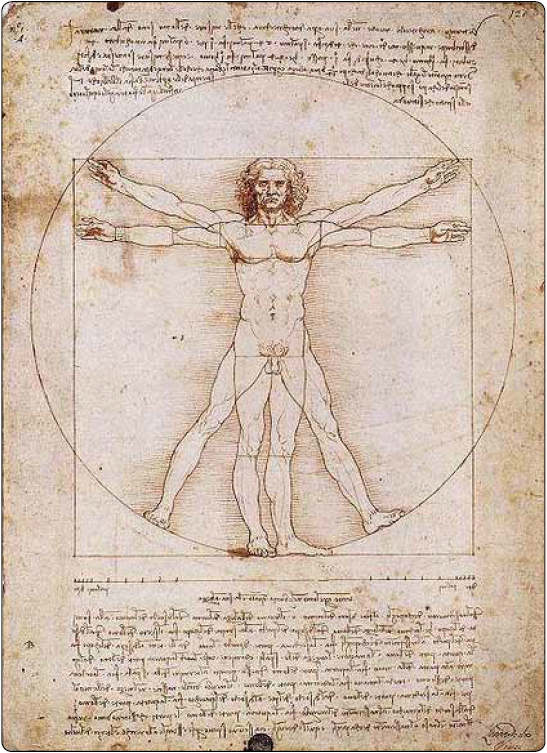 The Vitruvian Man, one of his most famous drawings, can be described as one of the earliest sources presenting guidelines for anthropometry. 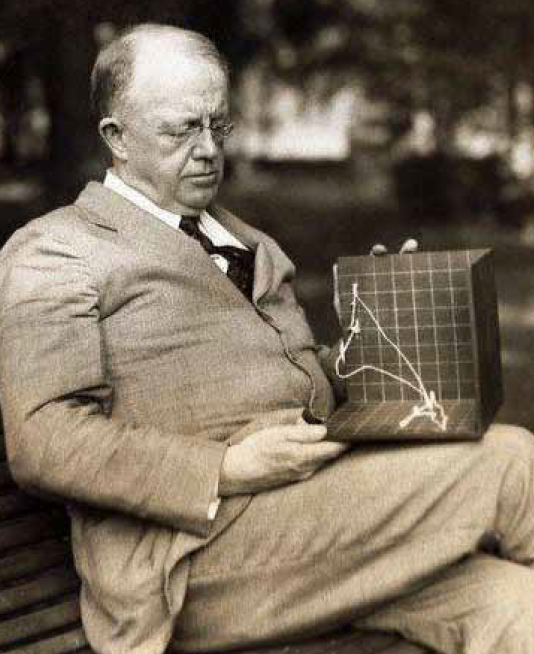 [Figure 1] Around the same time, he also began to study the flight of birds. He grasped that humans are too heavy and not strong enough to fly using wings simply attached to the arms. 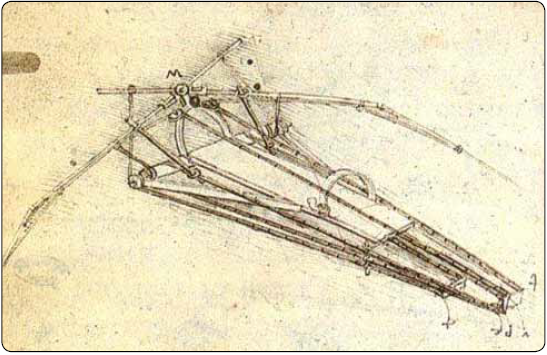 Therefore, he sketched a device in which the aviator lies down on a plank and works two large, membranous wings using hand levers, foot pedals, and a system of pulleys. [Figure 2] Today, anthropometry plays a considerable role in the fields of computer design, design for access and maintainability, simplicity of instructions, and ergonomics issues. 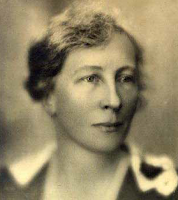 In the early 1900s, industrial engineers Frank and Lillian Gilbreth were trying to reduce human error in medicine. [Figures 3 and 4] They developed the concept of using call backs when communicating in the operating room. For example, the doctor says “scalpel” and the nurse repeats “scalpel” and then hands it to the doctor. That is called the challenge-response system. Speaking out loud reinforces what tool is needed and provides the doctor with an opportunity to correct his/herself if that is not the necessary tool. This same verbal protocol is used in aviation today. Pilots are required to read back instructions or clearances given by air traffic control (ATC) to ensure that the pilot receives the correct instructions and gives ATC an opportunity to correct if the information is wrong. Frank and Lillian Gilbreth also are known for their research on fatigue. Also in the early 1900s, Orville and Wilbur Wright were the first to fly a powered aircraft and also pioneered many human factors considerations. While others were trying to develop aircraft with a high degree of aerodynamic stability, the Wrights intentionally designed unstable aircraft with cerebralized control modeled after the flight of birds. Between 1901 and 1903, the brothers worked with large gliders at Kill Prior to World War I, the only test of human to machine compatibility was that of trial and error. If the human functioned with the machine, he was accepted, if not he was rejected. There was a significant change in the concern for humans during the American Civil War. The U.S. Patent Office was concerned about whether the mass produced uniforms and new weapons could effectively be used by the infantry men. With the onset of World War I (1914–1918), more sophisticated equipment was being developed and the inability of personnel to use such systems led to an increased interest in human capability. Up to this point, the focus of aviation psychology was on the pilot, but as time progressed, the focus shifted onto the aircraft. Of particular concern was the design of the controls and displays, the effects of altitude, and environmental factors on the pilot. The war also brought on the need for aeromedical research and the need for testing and measurement methods. By the end of World War I, two aeronautical labs were established, one at Brooks Air Force Base, Texas, and the other at Wright Field outside of Dayton, Ohio. Another significant development was in the civilian sector, where the effects of illumination on worker productivity were examined. This led to the identification of the Hawthorne Effect, which suggested that motivational factors could significantly influence human performance. With the onset of World War II (1939–1945), it was becoming increasingly harder to match individuals to preexisting jobs. Now the design of equipment had to take into account human limitations and take advantage of human capabilities. This change took time as there was a lot of research to be done to determine the human capabilities and limitations that had to be accomplished. An example of this is the 1947 study done by Fitts and Jones, who studied the most effective configuration of control knobs to be used in aircraft flight decks. Much of this research transcended into other equipment with the aim of making the controls and displays easier for the operators to use. In the initial 20 years after World War II, most human factors research was done by Alphonse Chapanis, Paul Fitts, and Arnold Small. The beginning of the Cold War led to a major expansion of Department of Defense supported research laboratories, and many of the labs established during the war started expanding. Most of the research following the war was military sponsored and large sums of money were granted to universities to conduct research. The scope of the research also broadened from small equipment to entire workstations and systems. In the civilian industry, the focus shifted from research to participation through advice to engineers in the design of equipment.